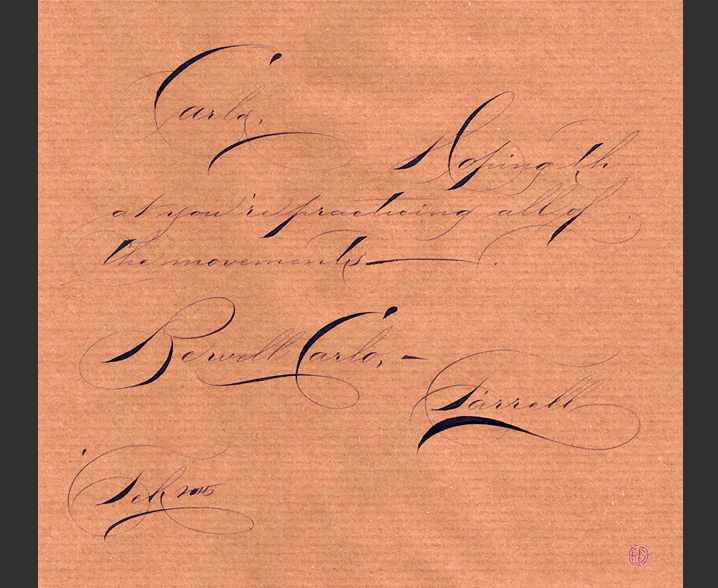 Learning Spencerian is a fun experience simply because there are lots of specific strokes and movements to learn. In this first introductory course, we’ll focus on the basic strokes that form the letters and the movements used in which to make them. 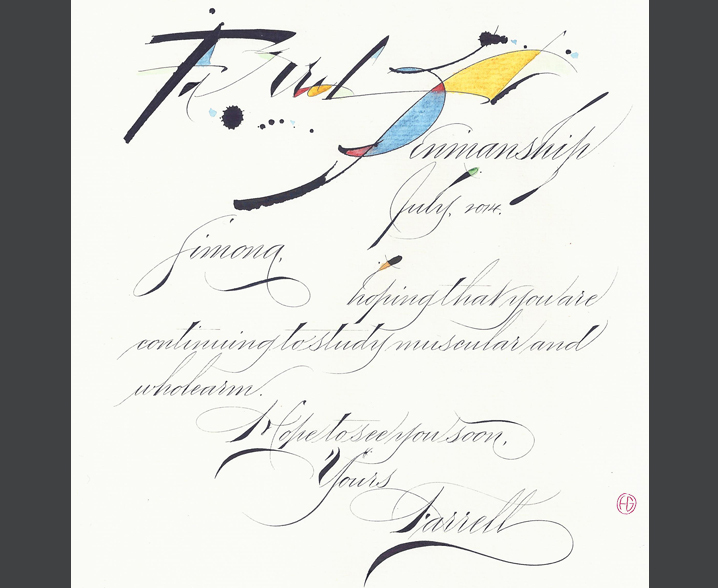 For instance, using the fingers to make the main miniscule letters and delicate shades, the muscular movement to make graceful lead in and lead out strokes, accurate curves and most capital letters and, later on, James will describe the advanced stage, which shall go deeper into use of the whole arm movement for flourishing and dashy, expressive capital letters. This first course shall describe advanced movements but focus in a practical sense the basic structure of the letters and how to produce them well. All will be explained and demonstrated in a step by step, easy to understand workshop that will be both exciting and thought provoking. Gaining knowledge and information as well as enjoying the experience at the same time. 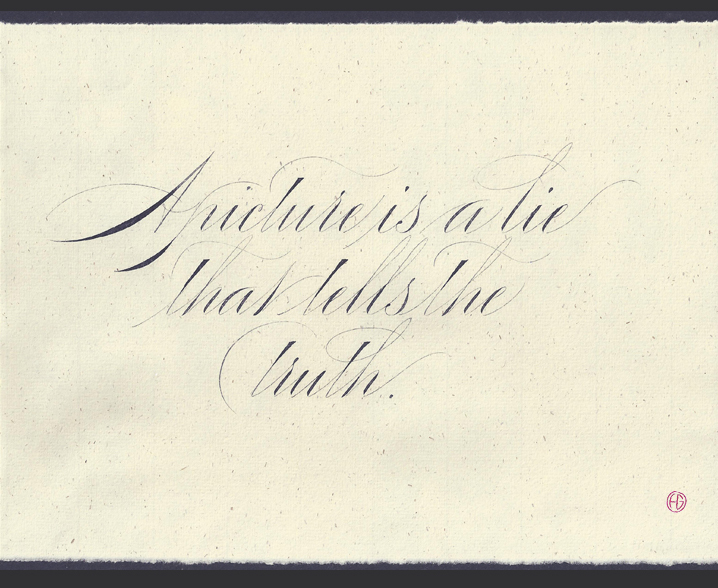 This workshop is ideal for those who are familiar with the pointed pen and wish to understand in more depth how best to gain skill and understanding in pointed pen scripts and for individuals who have never used the pointed pen before. 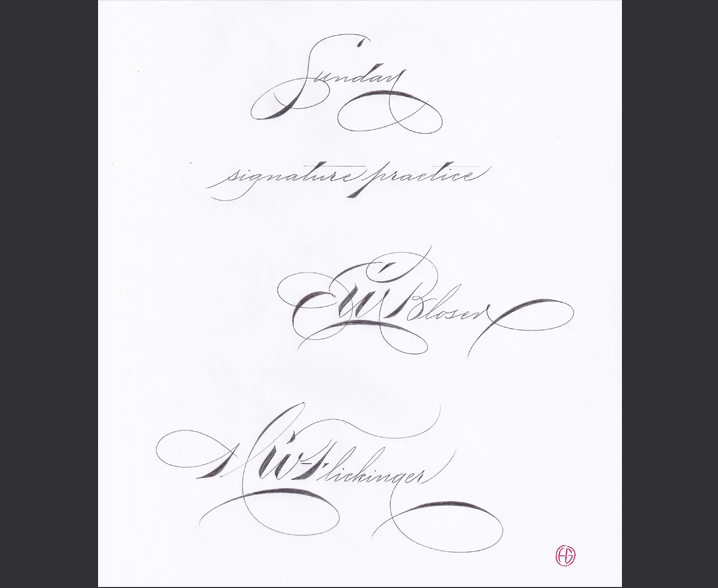 Simply because this course is an introduction to the Spencerian methodology of lettering and the basic forms are an important building block of exciting possibilities that can be obtained later on.